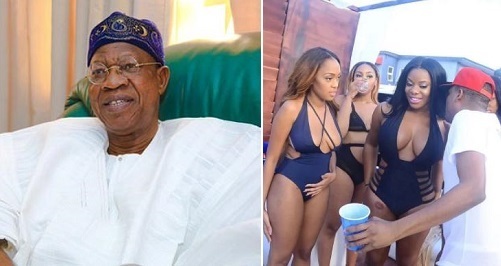 The Minister of Information and Culture of Nigeria, Lai Mohammed, has reacted to criticisms trailing his recent pronouncement on steps being taken by the government to discourage the production of Nigerian movies and music outside the country. In a chat with PT on Sunday, he said it was to tackle the exploitation of perceived loopholes in the Nigerian Broadcasting Code, NBC. The Minister on Saturday said the government had taken steps to get the Nigeria Broadcasting Code, NBC to put an end to the trend of producing Nigerian music, movie and programs abroad. This however drew criticism from Nigerians who asked the minister to address the issue of government officials going for medical treatment abroad first before sanitising the movie industry.